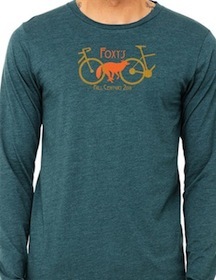 Here are answers to frequently asked questions about the Foxy’s Fall Century ride. The Senior Center has requested that if you are wearing shoes with metal cleats, please remove them while you are in the center during check-in and during the post-ride dinner. If you want to change your ride from the 100K to the 100 mile (or vise versa), inform the volunteer at the sign-in desk, when you check in. If you want to upgrade from the Flat 50K, please check in at the Help Desk to pay the difference. You will only need to give your name when checking in (no need to bring your confirmation receipt). Riders under the age of 18, and not riding with a parent or guardian, must bring a Liability Waiver Form signed by a parent or guardian. If your ticket was transferred to you by prior arrangement with another registered rider, you must bring a signed Liability Waiver Form to the Help Desk to complete the transfer and get your registration packet. You will be given a course map for your ride and a wristband to gain access to the rest stops. After you check in, take a moment before you start out, to enjoy the complimentary coffee and a pastry (located in the same room). The official check-in times are listed below. These check-in times are coordinated with the open times for the rest stops. If you start your ride too early, you may find that a rest stop is not yet open when you get there. So we recommend that you do not start riding before the start of check-in for your particular ride. Please make sure your bike is adjusted properly for you, your tires are inflated correctly, that your brakes work properly, and that your gears shift properly. If you are unsure, please stop by your local bike shop to have your bike checked out. Professional bike mechanics will be available at the start for bike checks and last minute adjustments, and also at the Allendale and Lake Solano rest stops. Have your bike checked out, get emergency repairs, or just chat it up with someone who knows bikes. We will have volunteers on bikes and in vehicles to assist, if you have trouble on the road. Please be aware that routes have changed since the last time you rode the Foxy’s. Please take a moment after checking in to carefully review your route map before getting on the road. If you just follow the person in front of you, you may end up on the wrong route! The Flat 50K riders will ride to the town of Winters for an enjoyable snack at Rotary Park (opens at 10:00 AM, closes at 1:00 PM) and return to Davis. The 100 mile riders will have their first rest stop at Lake Solano (opens at 7:45), then a water/snack stop on Hwy 121 before the Circle Oaks climb, a lunch stop at the Gordon Valley Fire Station, a water/snack stop on Lyon Rd at Cherry Glen, and another rest stop at Lake Solano (closes at 4:30 PM). Yes, there are plenty of snacks, fruits, drinks; and you will have sandwiches at the lunch stop for both the 100 mile and 100k rides. Porta-potties will be available at all rest stops and water/snack stops. For riders who enjoyed the coffee and pastries at the start, there are additional porta-potties alongside the road, at mile 6.6 for the 50k riders, and at mile 7.5 for the 100M and 100K riders. 100K and 100 mile riders who want to drop off jackets or warmers at their first rest stops on Allendale Road (for 100K riders) and at Lake Solano (for 100 mile riders) can put those items in a drop bag that will be provided. Please put your name and phone number on the bag (no valuables please). The bags will be transported back to the start/finish by 4 PM, so that you may retrieve your personal items. Also, you are welcome to bring your own bag. Please do not put trash in the porta-potties. You can view the elevation profiles of all three routes (and upload the course track to smart phones or a Garmin-type device) from our RideWithGPS maps. The Course Options page contains inks to past years route maps – the 2018 course maps will be available a week before the ride). If you decide that you want to switch from the 100 mile ride to the 100K ride (or vise versa), please inform the volunteer at the Sign-in Desk, when you check in. If you want to upgrade from the Flat 50K, please check in at the Help Desk to pay the difference. Kids under 12 ride free (with a registered adult) only for the Flat 50 k course. They do not require separate registration tickets. However, you will be asked to list their names when you register on Eventbrite. There are currently some road improvements in progress along some parts of our route; please be mindful of any instructions from CHP, security officers, Foxy’s corner marshals and construction personnel. Please check back here just before Foxy day for late updates on road conditions. Flat 50 k riders: As you approach the town of Winters, please prepare to stop upon approaching the Winters bike/pedestrian bridge. Please use the bike/pedestrian bridge to cross over Putah Creek. Then follow the bike path into Rotary Park for the rest stop. 100 mile and 100K riders: As you approach the town of Winters, please slow down as you approach the Winters bridge. Your route does not go into Winters. Instead follow your colored route arrows to continue on Putah Creek Road. All routes will close at 6:00 PM. Rider support services will not be available after 6:00 PM. If you think you may not be able to complete the course before 6:00 PM, please notify a volunteer. Our SAG vehicles will assist you. Your Foxy’s registration includes a delicious buffet meal in the Veteran’s Center (open from noon to 6 PM). If you purchased a supplementary meal ticket online for someone who will not be riding, bring your Eventbrite receipt or just give your name when you enter the line (walk-ins are welcome – $12). Showers are open from noon to 6 p.m. in the community pool adjacent to the Veteran’s Center. At the start/finish, please pick up the t-shirts you purchased online at Eventbrite. They will be available for pick up at the T-Shirt Distribution Table. There will be very limited quantities and sizes available for sale there as well. 2018 Jerseys are on sale at Voler! Pictures will be taken by Captivating Sports Photos. They will be taken along the route. The photos will be available, free to download from your computer. To quickly find your photo(s), please note time and location it was taken. The link to download photos from 2017 Foxy’s is below. The link for 2018 Foxy’s photos will be posted several days after the ride. Tickets cannot be carried over to the following year and we do not provide refunds for your registration. However, you may transfer your ticket to another individual. Many have been able to find buyers/sellers by posting in the visitor posts section of the Foxy’s Facebook Page. The original owner of the ticket must finalize the transfer by contacting the Foxy’s Director so that the registration database can be updated to show the new ticket holder’s information. Transfer requests must be submitted no later than 2 days before the event. 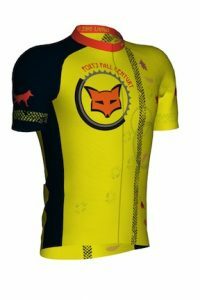 Send an E-mail to foxys@davisbikeclub.org requesting the transfer, and provide the contact information of the new rider. To complete the transfer, the new rider must complete a Transfer & Waiver form and take it to the Help Desk on the day of the event. (link to the transfer form is below) Davis Bike Club will not be responsible for money transfers between buyers and sellers. While many of us enjoy riding along on a beautiful day packed together in a group, please remember that there are vehicles on the road who may not be sharing your enthusiasm. Please pay attention to cars and other cyclists behind you, that want to pass, and form up in single file to allow them to pass safely. If you are on the 100 mile route, it is essential for your safety to ride single file on Highway 121 and Highway 128, as sections of these roads are narrow and have tight curves. If you must walk your bike to get past a particularly steep section of road, please walk near the road edge for your safety, and so as not to interfere with other cyclists riding by. If you need to stop to rest, please pull off to the shoulder so as to avoid making others swerve around you. CHP and other security officers will be assisting you along the way. Please be courteous to them, they are there for your safety. Our radio communications team maintains contact with radio operators at the rest stops, and in most SAG vehicles, in case of emergency and for last rider tracking. If you are in need of emergency assistance, call the Help number below to put you in touch with the communications control desk. Volunteers there can call for assistance as needed. The Help Line phone number is also on the route map that you will receive at check-in. Please take advantage of our bike valet service, provided by SABA (Sacramento Area Bicycle Advocates), at the start and finish of the event. Lock your bike whenever you leave it unattended, and if you see anything suspicious, let us know. There is a KOA near Davis, located in West Sacramento. Camping is also available at Lake Solano Park near Winters. There are various hotels to stay at in Davis. The Davis Bike Club wants to say thank you for joining us and we hope that you will make Foxy’s Fall Century a regular part of your annual biking experience.